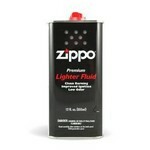 Fill up your torch or soft flame cigar or pipe lighter with our selection of hand-picked butane and fuel. These are the brands WE use both here in the office and when we're smoking for leisure... That has to be worth something, right?! C'mon, you can trust us!